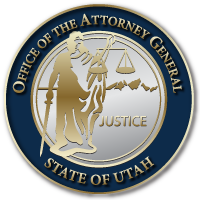 SALT LAKE CITY – Today, Attorney General Sean D. Reyes announced the Utah Attorney General’s Office is partnering with sister-states and the DOJ as part of a nationwide crackdown on fraudsters who try to trick consumers into buying costly tech support and repair services. Utah, in coordination with attorneys general from across the country through the National Association of Attorneys General (NAAG), has joined the U.S. Department of Justice, the Federal Trade Commission (FTC) and other regulators to combat tech support scams. As part of this effort, NAAG and the Department of Justice announced a sweep of elder fraud cases and focused particular attention on tech support scams as a major threat to senior citizens. “We are sending a clear message to scammers that Utah will continue to aggressively investigate and prosecute these types of frauds. Locally, we are fortunate to partner with the Utah Division of Consumer Protection on the front line of stopping scammers,” said Attorney General Reyes. During the joint investigation, Attorney General Investigators identified multiple businesses using this fraud scheme. Covert investigative methods were utilized by this team revealing the location of these illegitimate businesses. In some cases, our partners had global resources available to contact and shut down these schemes. Attorneys general through the National Association of Attorneys General, the Department of Justice, and the FTC worked for more than a year on the initiative. In addition to Utah, other state participants included Arizona, Connecticut, Florida, Kentucky, Louisiana, Minnesota, Mississippi, Montana, Nebraska, Nevada, New York, North Carolina, North Dakota, Ohio, Pennsylvania, Rhode Island, South Carolina, Texas, and Washington D.C. This entry was posted in Recent Posts and tagged Department of Justice, Fraud, NAAG, Tech Support Scam, Utah Attorney General's Office on March 11, 2019 .